An ultra-feminine icon, this new hue of 212 VIP injects fun and colour into the city, bringing new life to the social scene with emotive confidence. 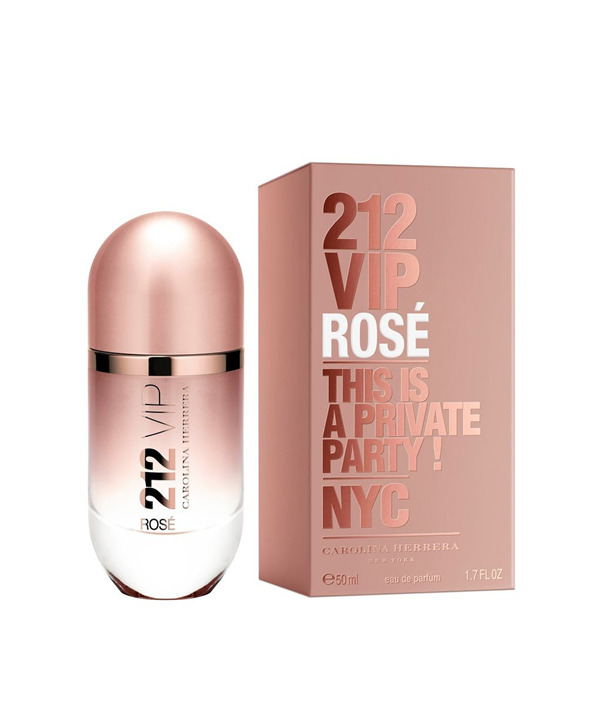 212 VIP ROSE contains the essence of the most exclusive party in NYC presented in a sophisticated yet playfully feminine matt rose VIP signature bottle. A glamorous opening of Champagne Rose is followed up with, a playfully seductive heart of Peach blossom. The luxurious Queen Wood and radiant Amber complete the colourful, feminine base.